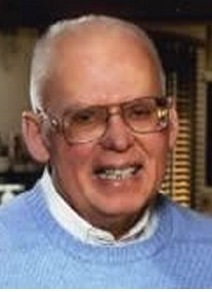 Dr. John Beaumier is a graduate of Escanaba High School, “class of 1949.” Following graduation, he attended Northern Michigan University and earned a degree in biology in 1953 prior to entering medical school at Marquette University in Milwaukee, Wisconsin. He completed his residency at the Mayo Graduate School of Medicine, and additionally served in the United States Navy. I recently asked Dr. Beaumier about how Escanaba High School prepared him for his future, and he told me a very interesting story, one that actually gives us a great perspective about Dr. Beaumier—the person. Dr. Beaumier shared that when he was in high school, EVERYONE wanted to be out for the football team. He had looked forward to playing for many years. About the time when he was ready to really make some headway on the gridiron, he noticed that he had an extremely painful leg. He went off to see Dr. Lindquist who checked out the symptoms, who then issued a report to the Esky football coach, Coach Schram. Young John Beaumier had been diagnosed with a blood clot, and the recommendation was to just not play football. John was just broken hearted. He decided not to tell anyone, and believed he would rather drop dead on the field than not play. So the next year, he went out for football again and he finished the season despite the clot. By the time he was into the track and field season, the pain was gone. He felt extremely close with his teammates, and had high respect for his coaches. Dr. Beaumier characterized Coach Schram as “outstanding,” who never accepted a salary, but who did everything he could possibly do for his players. Amazingly, when Dr. Beaumier was into his residency at the Mayo Clinic in 1963/1964, when he was looking over his own slides he discovered a calcification in the soft tissue. It was then he found out that he had not had a blood clot at all! John had worried and worried about it for years but still chose to play football. He had even played football at Northern Michigan University! What he had believed to be potentially life threatening turned out to be something quite different. He certainly overcame his fears, and persisted. Upon recalling his high school experience, Dr. Beaumier mentioned that he remembered being a part of “E-Club,” the National Honor Society, along with football and track. He said he wished he had time to do more things related to music too, but his first love, football took priority over everything.